Swallows are excellent fliers, and are capable of executing impressive aerial maneuvers when hunting or courting. Males typically choose and defend a nest site and then attract a female and guard their territory using song and inspiring flight patterns. The size of the defended territory may be quite small in colonial-nesting species, being restricted to the nest-site itself and a small surrounding area. It may, however, be considerably larger for species that do not nest in groups. Mated pairs of non-migratory species often stay in the vicinity of their breeding area all year, although they defend the nest site most vigorously during the breeding season. 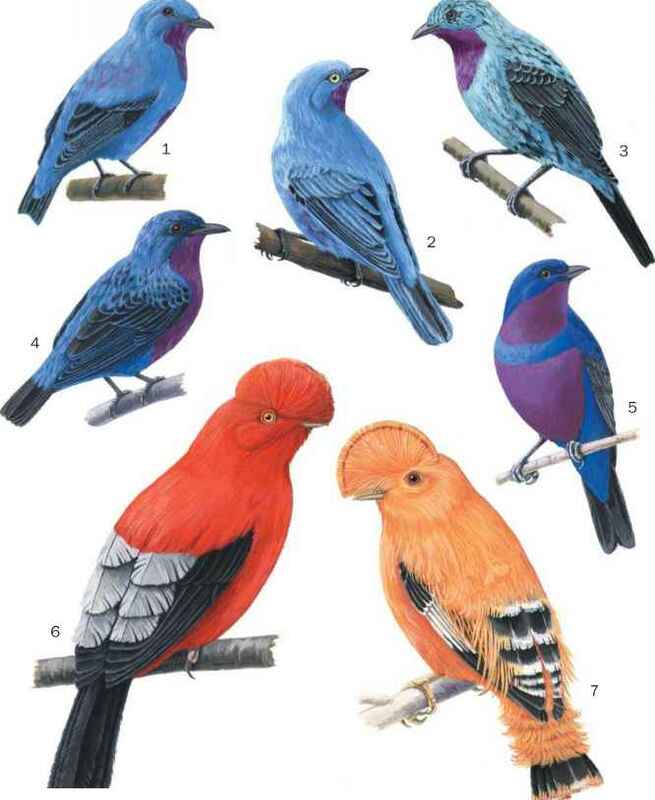 Migratory species often return to the same breeding area each year, and may even utilize the exact same nest site if they have been successful there previously. First-year breeders typically return to a breeding area close to where they were born and raised. ping, and lunging at an opponent. 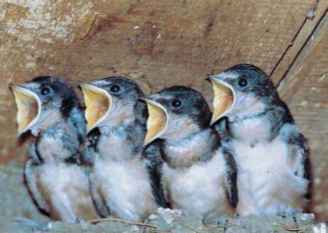 Swallows may also gape aggressively with their bill open and neck extended when other birds approach their nest site. Displays associated with pairing and copulation often include the male flying skillfully, quivering of the wings, and spreading of the tail. Females may also quiver their wings prior to mating. Plumage appears to play a key role in such displays—during singing or threat displays males often show prominent colored patches on their forehead and throat. The tail of some swallows, when spread, shows additional markings. 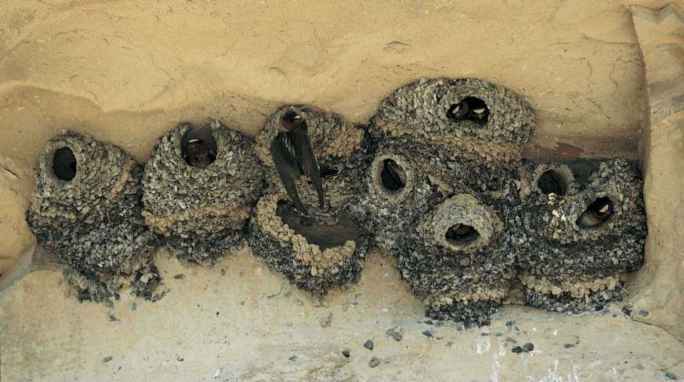 Swallows exhibit an array of calls, which are used when excited or agitated, to maintain contact with others of the same species, during courtship, or as an alarm indicating the presence of a predator. In addition, begging calls are used by the young when soliciting food from their parents. The typical song of swallows is a simple, sometimes musical twittering.